The Rainbow Six Siege Alpha wrapped up not to long ago, and Ubisoft has detailer all of the changes they've made thanks to the communities feedback. Watch the video or view the huge list of changes below. Games need to give players a form of confirmation in order to let them know whether their maneuvers are successful or not. Our initial approach to this in Siege, for hit confirmation, was adding hit markers, letting you know when a bullet landed successfully on an opponent. Many of you questioned this approach. This was actually the most common piece of feedback from the community, and we did observe behaviors during the Closed Alpha where players were exploiting the feature to fish for hits through walls and smoke. For these reasons, hit markers will be removed except for kill confirmation and friendly fire. In order to fulfill players’ need for hit confirmation, we will be increasing the size of blood splatter after successful hits. Previously, we hadn't realized this was a high priority for players, and your feedback helped put it on our radar. 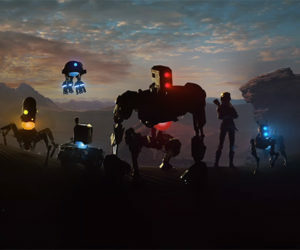 Some players felt the game moved too quickly, and that it felt more like a “run and gun” experience than the tactical one that we're aiming for. We knew this going into the Closed Alpha, as several elements we're building had not been implemented into the game yet. 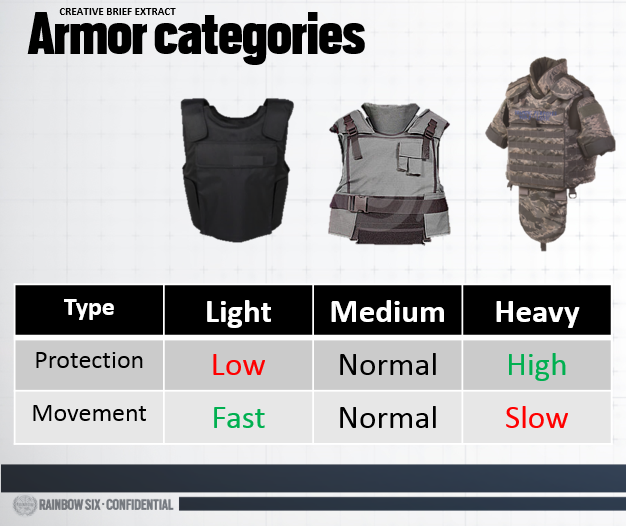 For starters, each operator will have an assigned armor type: either light, medium or heavy. The armor type is a tradeoff between mobility and defense. Some operators will still move faster than others with light armor, but they will die quickly under fire. Secondly, we will be implementing equipment and weapon weight costs. For example, taking a point man’s ballistic shield into an operation would slow you down by 30%, or 25% for choosing an LMG. This had all been planned, but didn't make it in time for the Closed Alpha. Still, we saw a further need to slow things down by reducing the base movement speed of all operators by 20%. We are also experimenting with increased round times. Starting with these updates, we hope to see the run and gun and lone wolf playstyle reduced. These updates will make it harder to flank, reduce the occurrence of melee attacks, and provide more incentive for coordinated team movement. We realized there needs to be a difference in recoil between the PC and console experience, due to the nature of their inputs. 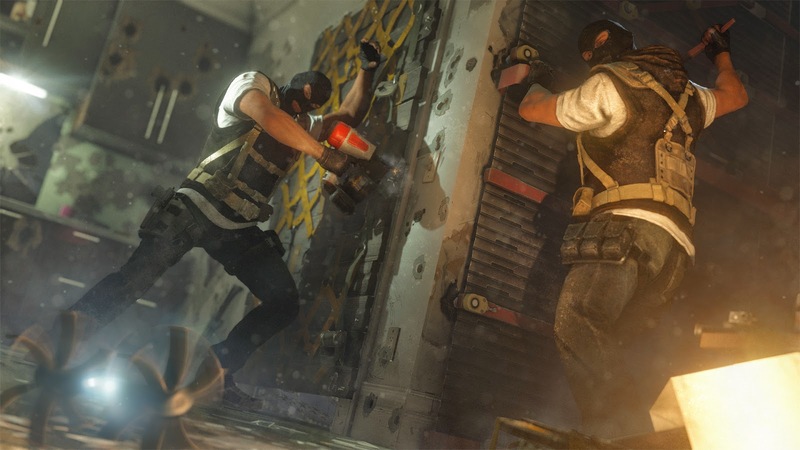 Therefore, the PC recoil will have a noticeably stronger kick on the first shot and will feature a diamond recoil pattern that is double the size of the consoles’. Ultimately, we want a skill-based shooting experience on both platforms and are still iterating on it. Even though the Closed Alpha was PC only, your feedback has given us more perspective on the gunplay you want in Siege. - Greater vertical recoil on all assault rifles. - Greater increase in spread per shot of all submachine guns, especially the P90. - Increased vertical recoil on all submachine guns. - Increased time to ADS for assault rifles. - Increased time to ADS for all weapons after sprint. - Iterated on the equip and unequip timers on all weapon families. Heavier weapons will feel heavier. - Increased camera shake/intensity per shot, per weapon family. - Reduced the damage of the P90 and iterating on another damage pass for all weapons. - Shotgun damage over distance curves are being tweaked. - Reload times are being tweaked during animation polish. - Bullet penetration penalty on bullets is still being evaluated and iterated on. • Audio in Closed Alpha was placeholder. Will be improved across the board. Remember how you saw textures labeled “Alpha” in some areas of the plane map where we weren't finished? We wish we could have done the same for the gun audio, because they were in the same state. Audio is tricky because it isn't just a matter of loud base audio file vs. soft base audio file. Sound propagation, effects, reverb, recoil, environment all come into play. We’ll continue working on this and you will experience much fuller, more satisfying sounds by the time Closed Beta gets here. • Ammo count reduced across the board. Will be equivalent to Raven Shield values. For Closed Alpha, we opted to provide players with plenty of ammo. The goal was to find out how much ammo was used in average, in Siege. We are now iterating, starting with reduced ammo counts, similar to the ones that were in Raven Shield. We intend on tweaking those as we move forwards. • Now limited to 2 potential occurrences per operator before dying outright. Continuing to investigate. DBNO (Down But Not Out) is meant to create a high risk vs. high reward scenario that encourages tactics and teamplay. The feedback and behavior we observed confirmed to us that it is working as intended, but it can be improved. 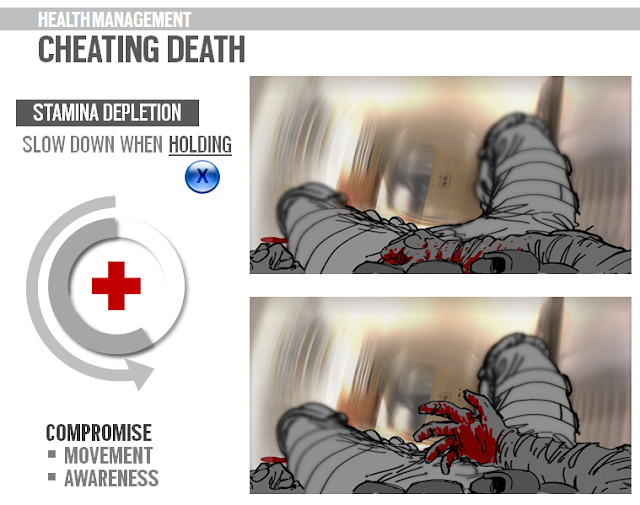 In the Closed Alpha version, DBNO was unlimited, with players occasionally getting revived 3 or more times in a match if they kept falling into the same parameters. Obviously this is not the direction we want to go, and we will start to address this by limiting the number of times you can go into DBNO before dying outright to 2. We are currently playtesting this change to decide if further action is necessary. These things were not ready in time for Closed Alpha, but a party system and push-to-talk functionality will be implemented for Closed Beta and beyond. We also recognize that even though this is a team-focused game, not everyone will be utilizing a headset to communicate. On PC, in-game text chat was already implemented for the Closed Alpha, it just wasn't apparent or clear that it was there. • No changes yet to damage or armor values. Other items need to be implemented/investigated before we consider changes in this area. Some players felt that the operators seemed like bullet sponges and took too many bullets to kill. Currently it takes on average about 3 body shots or 1 head shot to kill an opponent. There are some other items in the game that have an effect on lethality that we need to review before we start changing damage values. • Will include a toggle option on PC for lean, aim, sprint, crouch and prone. • Currently investigating new designs for leaning while not in ADS. In the current build, you are only able to lean while in ADS (Aim Down Sight), both of which require you to hold down triggers. This isn't the smoothest gameplay experience, and we are taking steps to improve it. For starters, we are including a toggle option on PC for lean and aim (plus crouch, prone and sprint). For the feedback about not being able to lean while not in ADS, we are currently investigating what is the best design solution, and will follow up later with more details. 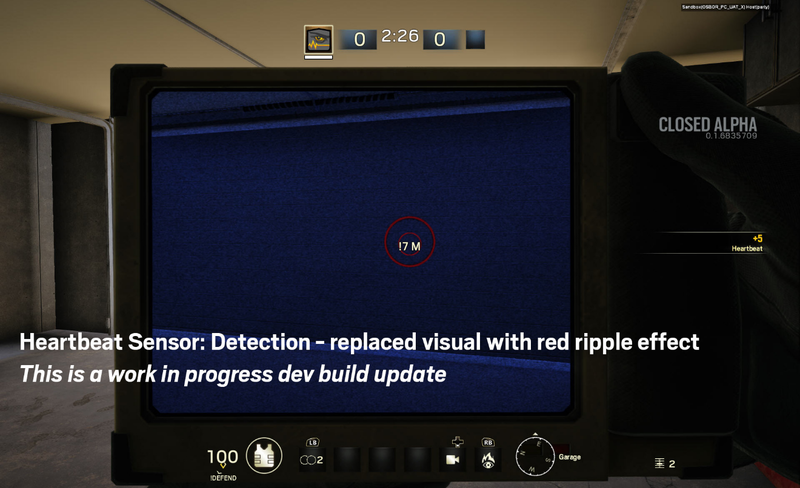 Pulse’s Heartbeat Sensor is a sensitive topic because we received a lot of qualitative feedback about players thinking it was overpowered, or didn’t have a place in the game. Even before we got into the Closed Alpha, we heard this feedback and took steps to nerf its effectiveness – limiting its range to 15m. Post-Closed Alpha, we are limiting the range even more, down to a 10m detection range. We will continue playtesting this and decide if further changes are necessary. We understand where some players are coming from regarding the Heartbeat Sensor, but thus far the data isn’t showing us there’s a problem. Pulse was not picked more often over other operators, even for players with the most Closed Alpha playtime. There are no advantages shown in Win % with Pulse, or improved K/D (among other stats). Keep in mind that this is a tool that has been a part of the Rainbow Six universe since the book. Team Rainbow would use any and all technology available to gain intel on their opponents. But, we do share the same concerns that you have about the gameplay aspect and will continue monitoring. This is only a small handful of the improvements being made, but we wanted to address the things that you cared about the most based on your experience from this testing period. Thank you again for your participation and we can’t wait to see what you think during the Closed Beta.